Added on September 30, 2015 by Erin White. 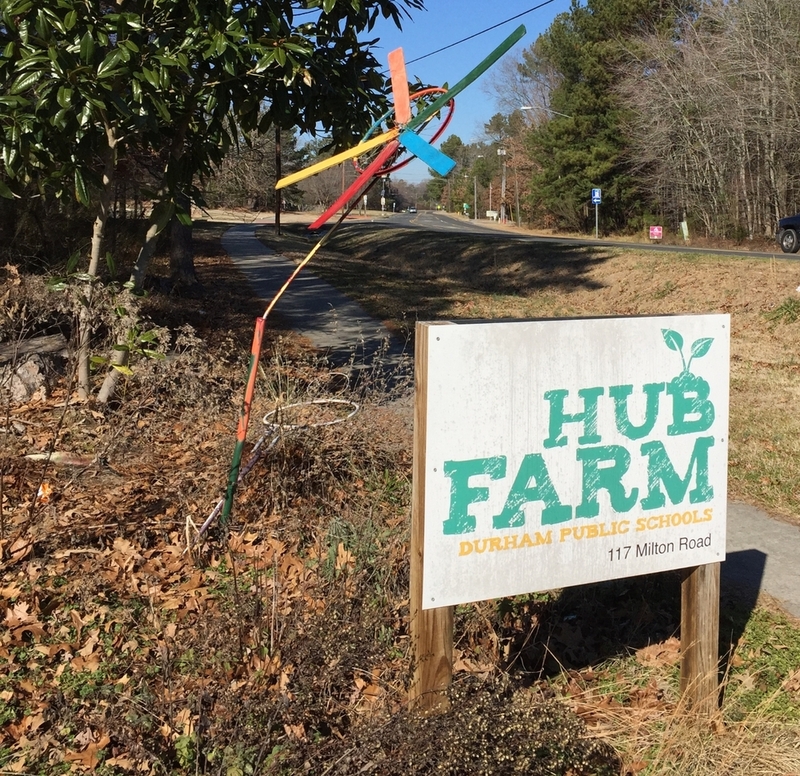 The Durham Public Schools HUB farm is a 30-acre site supporting experiential farm, garden, and outdoor education for students throughout the Durham school district. As a mixed educational resource, the Farm is a model of flexible programming and activity that uses its landscape of fields, ponds, and woods for education at all grade levels and alongside many community partners. In creating this vibrant farm and outdoor education site for Durham Public Schools, we worked with a collaborative team of partners and advisors to build a phased site plan, a network of supportive and invested stakeholders, and initial grant funding to support key site improvements. In close collaboration with Landscape Architect Katherine Gill of Tributary Land Design, Community Food Lab led a multi-pronged design approach to early planning that combined education and curriculum opportunities, creative funding strategies, landscape design, and diverse community engagement. Over 18 months, we worked with partners to create a stable advisory board, initial site management team, and action plan designed for incremental growth of the project. In the two years after our involvement, the HUB Farm has continued to grow in size and reach. A collaboration with an NCSU Design/Build studio culminated in an innovative floating classroom. Up to 300 students per week visit the Farm, engaging in all aspects of the site. The Farm runs a CSA box program and operates a seasonal on-site farm stand. Plans are in place to obtain GAP certification for the Farm, which would allow produce to be used in DPS cafeterias. With initial funding from DPS Career and Technical Education to create hands-on STEM education, this visionary project has transformed an unused 30-acre school property into a K-12 learning farm; a whole-district hub for garden and outdoor education and a regional model for innovative farm-to-school initiatives.